I always love freebies from PEPPERMINT CREATIVE as they always give nice and usable digi-kits for us to enjoy. 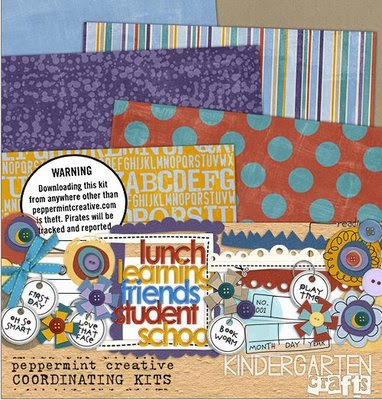 And here is their new freebie kits KINDERGARTEN CRAFTS for us digi-scrappers to download. This kit is perfect for your kids school photos and more. You need yo be a member 1st before you can download it.